The smell, tastes, and changes of the seasons are not all that fall has to offer. The spices of fall can also offer benefit to your health. Cozy up to and fall for these spices and herbs this Autumn season! Topping of the list… No other than the cinnamon spice! Let the warm flavor and aroma of cinnamon fill up your kitchen this fall! New research even suggests cinnamon can lead to weight loss, manage blood sugars, lower cholesterol, control muscle spasms and gas. Beyond weight loss, the benefits of cinnamon are vastly explored in diabetes management. But to reap such benefits, eating copious amounts of cinnamon rolls is not warranted, but rather enjoying them in moderation, along with the adding into coffee, teas, and these nutritious cinnamon-spiced mashed sweet potatoes and cinnamon apple pancakes! Though nutmeg is a spice produced from the seeds of a tropical evergreen tree, it is considered a notorious fall spice. Nutmeg lends a nutty and slightly sweet and warm aroma and flavor, making it a useful in baked goods, puddings, sauces, veggies, and this healthier-for-you eggnog recipe. As a word of precaution, and while nutmeg toxicity is not necessarily common, toxicologists encourage consumers to use in moderated amounts, as two tablespoons or more may cause intense nausea, dizziness, and other adverse side effects. But with careful and accessory use, nutmeg may support heart, brain, skin, and oral health. Cardamom is a spice described as strong and pungent, though it also offers light notes of lemon, mint, ginger, and cinnamon. It pairs with a number of sweet and savory dishes, including this quinoa and pumpkin seed stuffed acorn squash recipe, and may protect against heart disease, improve digestion, and inhibit tumor growth. 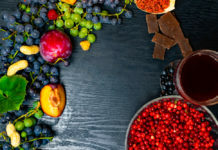 While mostly known for its use in pumpkin pie, cloves also an aromatic flavor to a number of dishes, including meats, curries, marinades, apples, and pears. 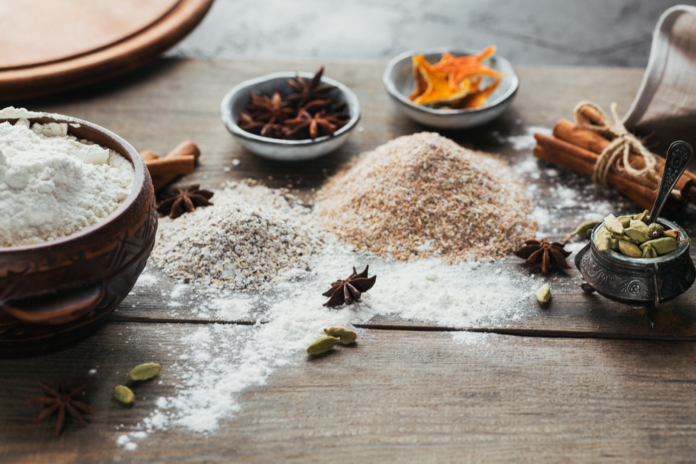 But beyond their sweet and spicy taste, cloves offer anti-inflammatory and antibacterial properties to boost immunity and fight against infection. both savory dishes and desserts, Jamaican jerk chicken, mulled wine, and spiced cider. nausea, vomiting, constipation, bloat, and gas. Along with growing in warm climates, let the ginger spice warm you up this fall! Ginger is well-known in alternative medicine, with evidence supporting its use to treat an upset stomach, nausea, vomiting, and digestion. Further evidence suggests ginger may ease pain associated to menstrual periods, headaches, and various forms of arthritis. The root or stem of the ginger plant is often consumed fresh, dried, and in its oil or powdered form. The pungent and spicy flavor often compliments Chinese cuisine, recommended to cleanse the palate and used in herbal teas. Coming from the turmeric plant, turmeric is a brightly colored yellow, orange-ish spice mostly known for its warm, bitter taste in curry dishes, along with being the main star in this “golden milk” recipe. But aside from its culinary use, it has been used in Chinese and alternative medicine for centuries primarily related to its curcumin content. 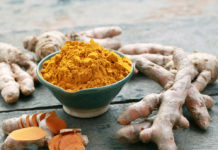 Curcumin, the chemical providing the vibrant color of turmeric, is suggested to reduce inflammation and combat against infection, along with treating a number of ailments such as headaches and arthritis. Touted as the sister of rosemary, sage is a perennial woody herb displaying gray-green leaves. The sage leaves mostly complement fish, sausage, and poultry dishes, along with roasted veggies and stuffing. Learn how to buy, store, and cook with sage this fall here. Resembling other fall flavors such as licorice and fennel, the anise seed is widely used in baking, including the making of Italian biscotti. But beyond culinary use, anise has been customarily consumed to treat belly bloat, a cough, asthma, and bronchitis. The list would not be complete without this infamous fall flavor… Pumpkin spice! Often known as pumpkin pie spice, it is generally a blend of other fall spices, including ground cinnamon, nutmeg, ginger, cloves, and. Beyond its obvious use in pumpkin pie, it flavors these 11 pumpkin recipes you do not want to miss, including the infamous pumpkin spice latte (PSL), pumpkin bread pudding, and this pumpkin pie protein shake. What’s Healthier: Tofu or Tempeh?